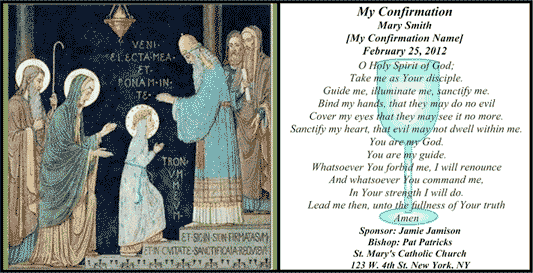 This free, printable church holy card features a picture of a member being blessed by a priest while her parents look on. A prayer and places for names, the date, the sponsor and the address of the ceremony commemorate the sacrament of confirmation. Cover my eyes that they may see it no more. Sanctify my heart, that evil may not dwell within me.